The All-New Volvo Sahara / Midsummer in March. This entry was posted in Uncategorized and tagged March midsummer, The Volvo Sahara by Michael St.Mark. Bookmark the permalink. Nice. I’m not mocking the picture but it would been better if you included the whole Volvo parts. But hey, it’s still cool. I guess it’s a bit late at night for my limited brain power, sorry! Fine sand carried high in the air by southerly winds… all the way off the Sahara desert! 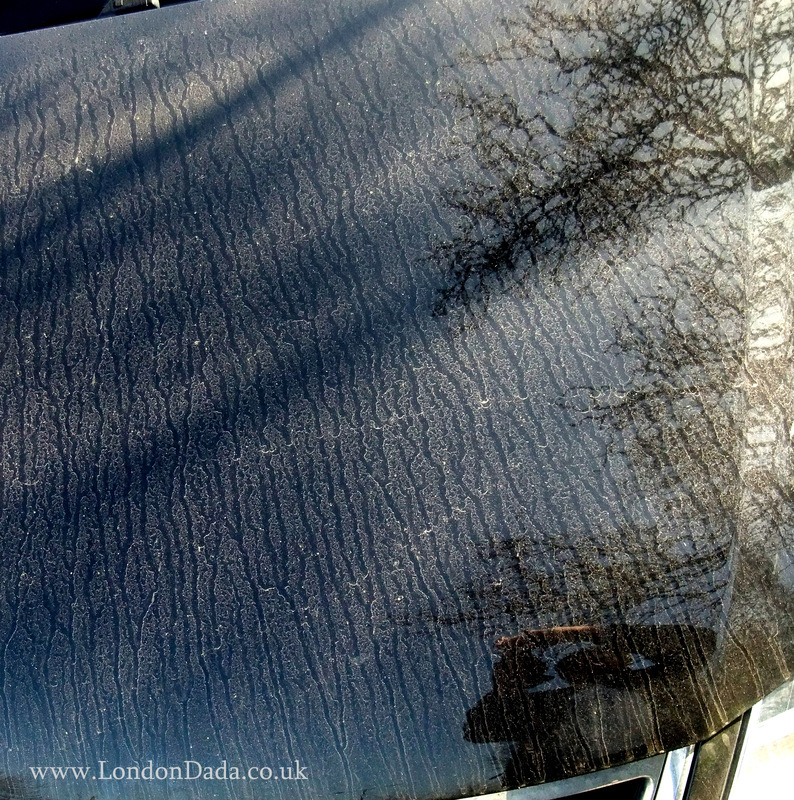 Falling with rain onto surfaces, car bonnets included, this one an outstanding exg. Not to worry me lass, all brains are limited…except apparently those of our superior ‘know-all” polit’liars! That is amazing! Is it the reflection of tree bark? Huh? Tree bark on 4 wheels? now THATS Dada! Looks good behind glass, this one.